This incredibly adorable panda is kayaking! How cute is that? This makes a perfect gift for active outdoor people or kayaking fanatics. 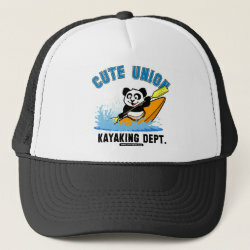 Great for everyone who loves cute pandas and kayaking.